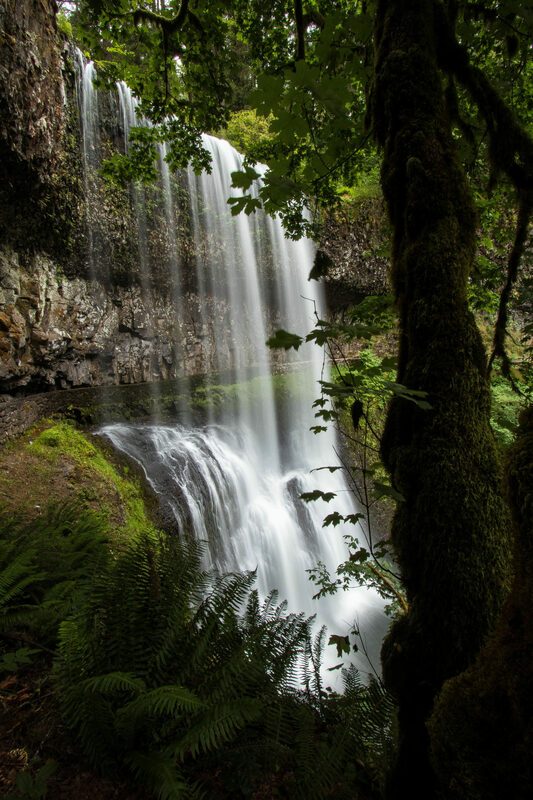 Silver Falls state park in Oregon is a spectacular place. There is a trail that takes you past 10 waterfalls in under 10 miles. You can actually walk behind two of the falls! Including this one which is Lower South Falls.